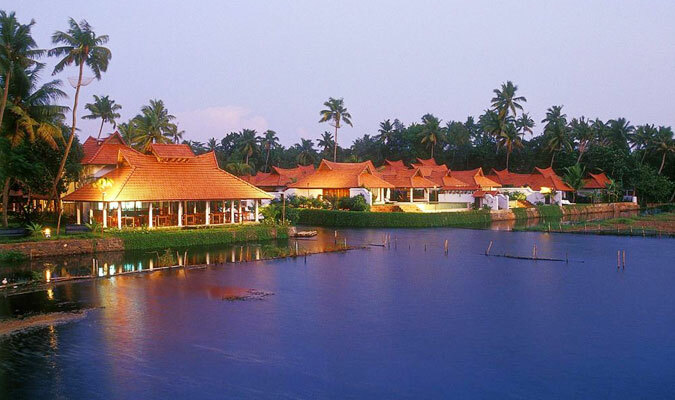 For a relaxed vacation in Kumarakom, the 5-star hotel Kumarakom Lake Resort is simply spectacular. Wrapped up in beautiful surroundings of Kumarako, ideally located at a convenient distance from airport, railway stations and major tourist distance, the resort just simply stands for “Amazing Vacations in Kumarakom”. In such beautiful locations, even God tends to become partial and has blessed the hotel with immense sunlight throughout the day that is just a gorgeous sight to watch. The Presidential Suite: Secluded rooms offer ultimate luxury and comforts for you to spend a time obsessed in yourself. Heritage Lake View Villas with Private Pool: Spend a romantic vacation in these rooms installed with swimming pool and rekindle the romance in amazing surroundings. Heritage Villas with Private Pool: These rooms are guaranteed to give you a memorable stay at the hotel. Dip in the private pool and then relax in your comfy beds! Meandering Pool Villas: These villas are installed with specially designed meandering swimming pools. Luxury Pavilion Rooms: These rooms re-define the meaning of luxury. Houseboat:Have a stay while floating in the beautiful Kerala backwaters while staying at traditional kettuvalloms or houseboats. This is not just a stay… this is experience. Ettukettu: Serves lip-smacking multi-cuisine food specializing in South Indian, North Indian, Continental, Mughlai and Chinese dishes. Vembanad: Delicious, finger licking, mouth watering and tongue rolling sea food is served here. Thattukada: For local tea snacks of Kerala, visit this tea/coffee shop. Pool Pavillion: Located near the pool side, the restaurant serves multi-cuisine food.